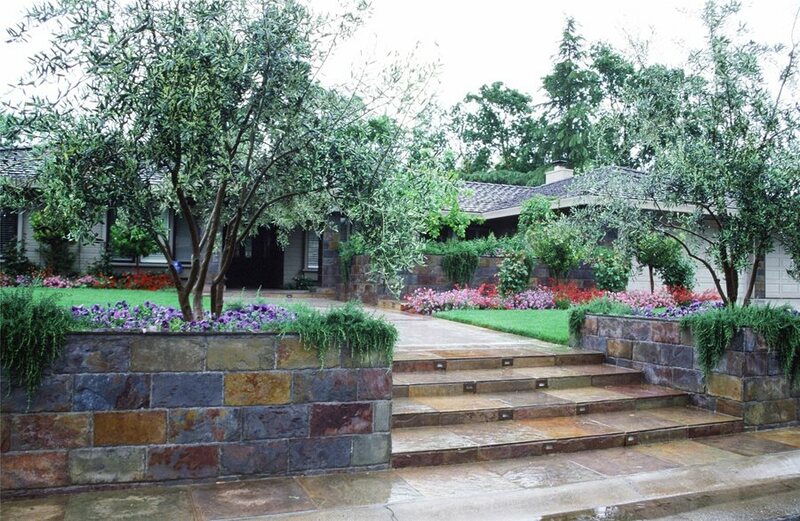 The planters and steps at the entry to this home rely on the beauty of the stone itself rather than complicated details. 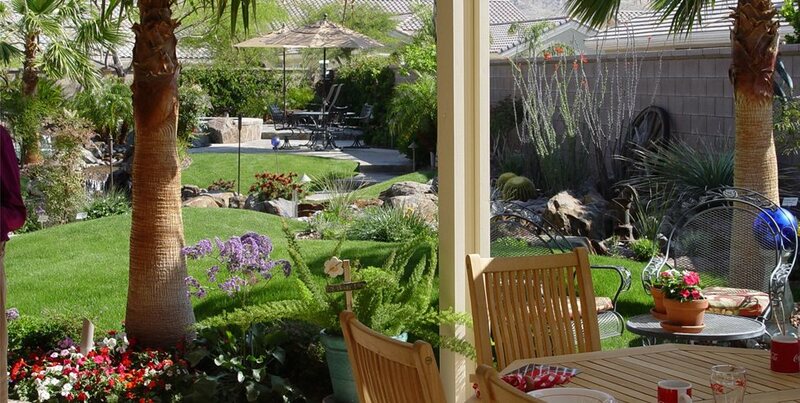 This simply designed and inexpensive yard features plenty of play space while offering a beautiful perimeter garden. 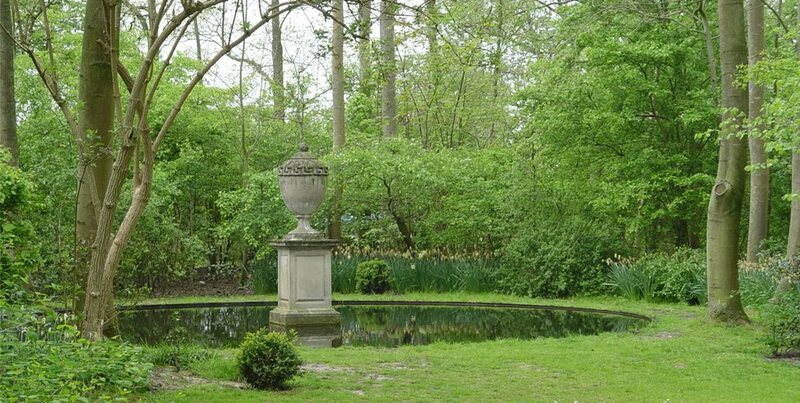 A simple round pool in a forest clearing is a beautiful example of how much can be done without complicated construction and detailing. 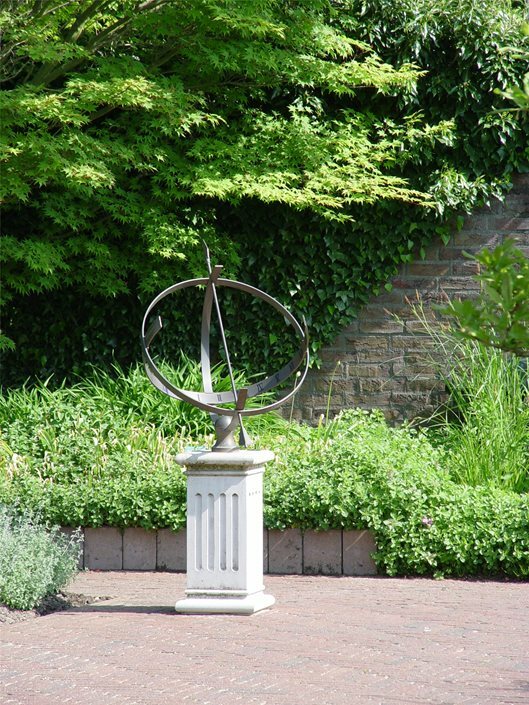 This small city yard utilizes a sculptural sun dial as its focal point rather than a complicated built in amenity. 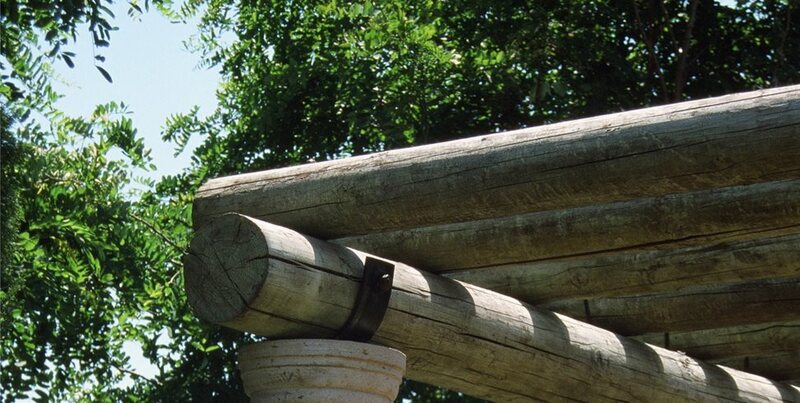 Using round stock lumber demanded this connection be detailed so that the custom made steel tie for the beam could be fabricated and curved to its exact shape. 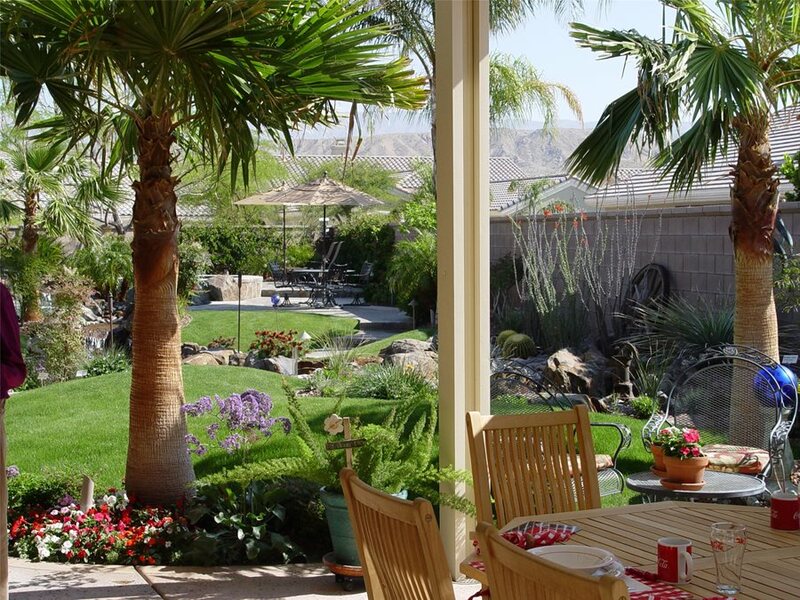 Costs skyrocketed during construction of this complex backyard due to utilities, edging, concrete forms and stonework. Construction costs required to create so many individual raised planters could have been cut in half with a simpler design that didn't sacrifice a square foot of plantable area. 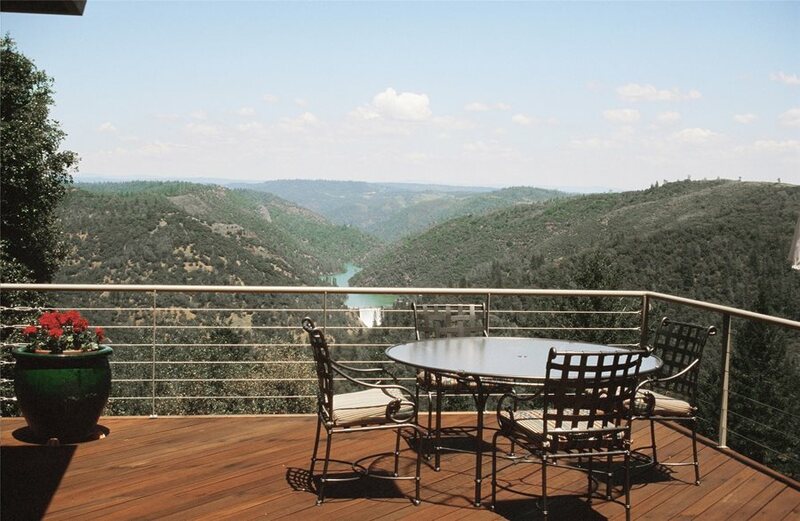 The custom built railing, shown here, required not only construction details and advanced welding for installation, it demanded special calculations from a structural engineer. Da Vinci said, "Simplicity is the ultimate sophistication", and landscapes clear and straight forward in design are those that are as vibrant today as they will be a century from now. 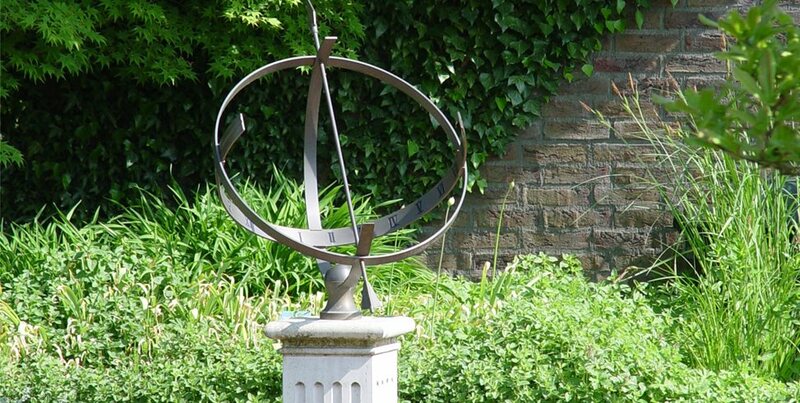 Problems arise when we complicate a design project with things we want but don't necessarily need. The more wants that go into the project, the more challenging it becomes. If you can pare your needs down into a perfectly simple project, it will manifest uncorrupted by costly, problematic whims and impulses. See photos of simple built-in bbqs. 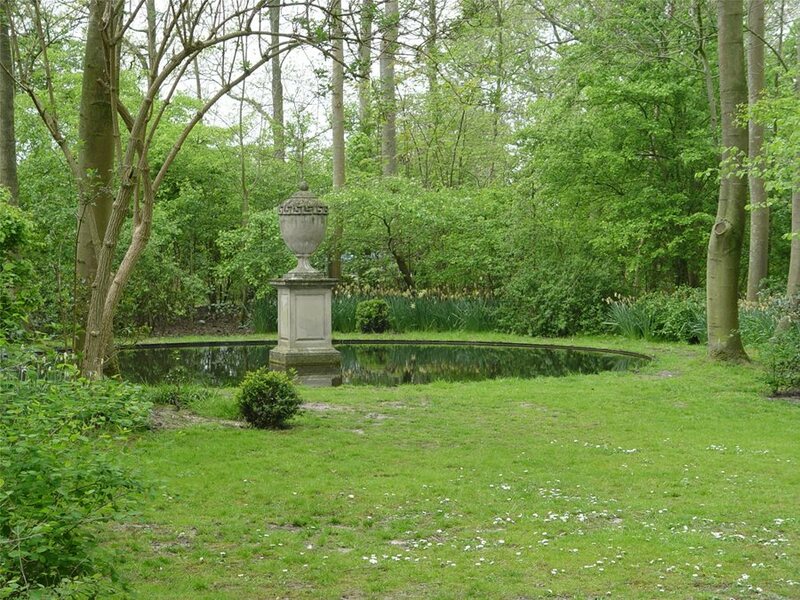 See pictures of simple swimming pools. Simplify the LayoutThe layout of your project is the site plan, which is like the floor plan of your home. The more simply and logically it is designed, the easier it will be to build. Think back to homes fifty years ago before the whole outdoor kitchen craze or the advent of McMansions with all the bells and whistles. Back then everyone had a single large patio where they dined and barbecued and generally hung out. The larger the family, the larger the patio. 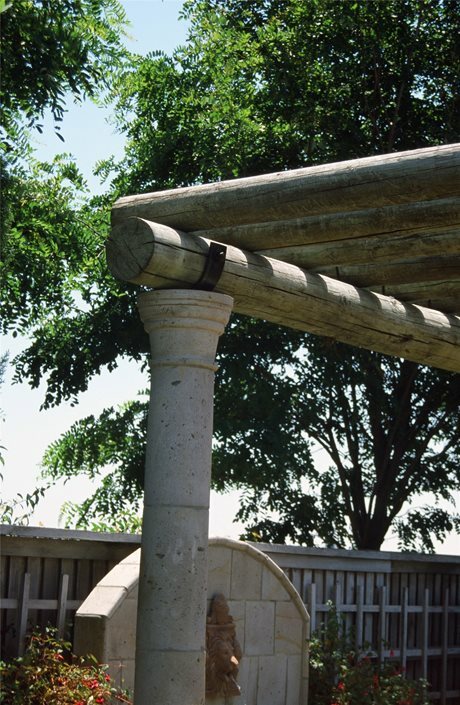 In rainy climates it would have a weatherproof cover, and perhaps a shade arbor in hot dry regions. Simplicity in layout is best understood if you consider some of the impacts of complexity. Forming excessive curves and corners for concrete work takes time and a good deal of carpentry skill to build the forms. This is where the costs accumulate due to the need for skilled labor and the extra days required to build the forms. A rectangular patio in contrast is easy to build without specialty carpentry. The same applies to lawn and planting areas. If these are roomy and well thought out, the cost of edging, mow strips and most of all irrigation becomes far more efficient. Complicated edges and tight curves make it difficult to design the irrigation because heads and piping don't easily lend themselves to sinuous forms. They were developed for a rectangular lawn beside a rectangular patio inside a rectangular yard. 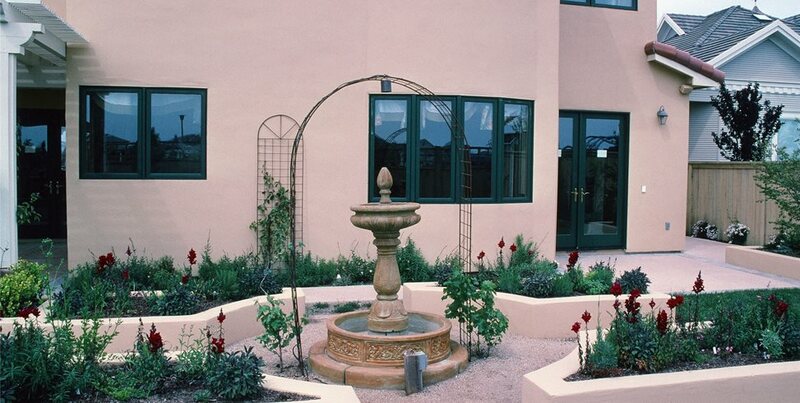 Pro Tip: Don't feel you need curvy walks to create a naturalistic garden. The key is choosing the right plants and positioning them properly relative to constructed elements however rigid in form they may be. If you were to study a set of working drawings for a landscape, the pages contain boxes filled with detail illustrations. A detail is anything the designer must show the contractor how to build. This might include a step face with a bull-nose brick tread or the way a deck railing is put together. Details can be standard and simple or custom designed so that each one becomes its own mini design-build project. This complexity may even require a specialty sub-contractor. You pay the designer more to build it on paper, then the contractor charges you extra because it takes more time to build that "special" step than one with standard construction. Plus, there's always the chance the contractor will make a mistake implementing an architect's special detail drawing. Caps for walls with specialty materials. Columns and pilasters in high profile locations. 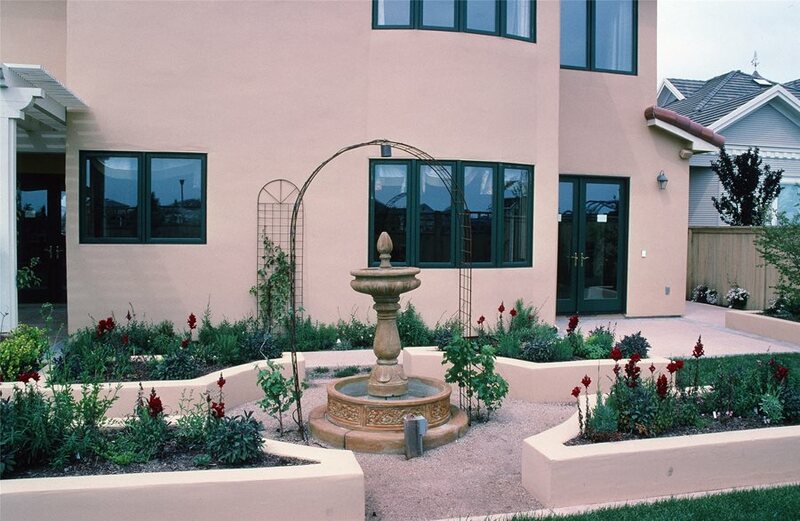 Outdoor lighting built into any structure, particularly masonry. Special wood joinery and craftsmanship. Tile or stone accent bands on paving or masonry. Fifty years ago almost all landscapes featured one of two basic paving materials: concrete and brick. A patio was either concrete or brick laid on a packed and leveled bed of sand. 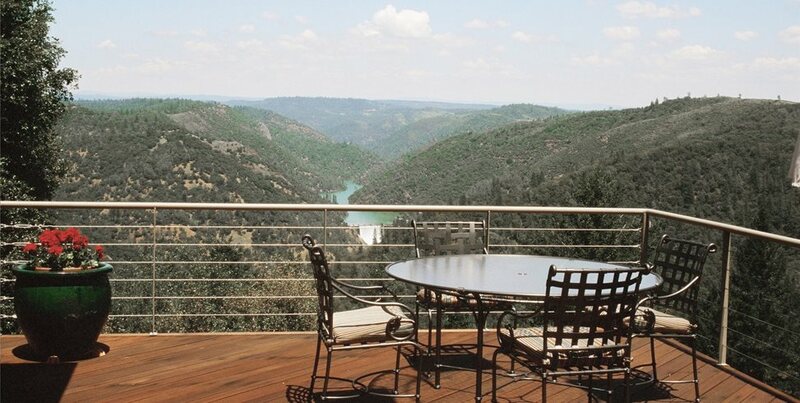 At any time in the future this patio could be expanded without concern for matching the original materials. If you needed to replace broken bricks or if the concrete cracked badly, it would be a fairly easy fix too. But if your patio features a special new tile with unique color or texture, you will pay high prices to install it and there's no way to be sure it's going to be available in the future. If your patio was stained with a specialty finish color or texture, future changes or repairs get very complicated as well. Maybe that company no longer exists. Perhaps they've changed the brand of stain they use. Your stain could have faded so much the original coloring no longer matches. 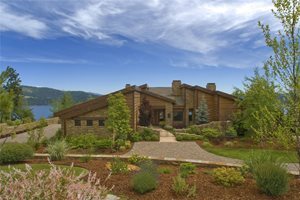 When you stick with basic materials and minimize the amount of construction, you are assured that the landscape will be easy to maintain, repair and expand on in the future. The long term presence of such materials in the industry means a lot of different companies manufacture the same product. That creates competition that results in lower prices for you both at the time of construction and in the future. Imported paving materials that may suffer spotty availability due to global trade. Faux finishes that are hard to replicate in part or overall. Specialty accent materials that may not hold up outdoors over time. Small boutique manufacturers that may disappear overnight. Hand-made tiles and other decorative items created by individual artists. In recent years the U.S. Patent Office allowed newly developed plants to obtain a patent which allows only the breeder or designated growers to propagate and sell the plant. A royalty payment goes back to the breeder for every new plant created and sold. This has caused an explosion of new plants to flood the market, many with significant marketing campaigns. They make you feel that plants are just as trendy as fashion, and that you should utilize these new varieties because you see them in advertisements. Truth is, very little has changed in the plant world over the past few decades and these new plants have not been on the market very long. 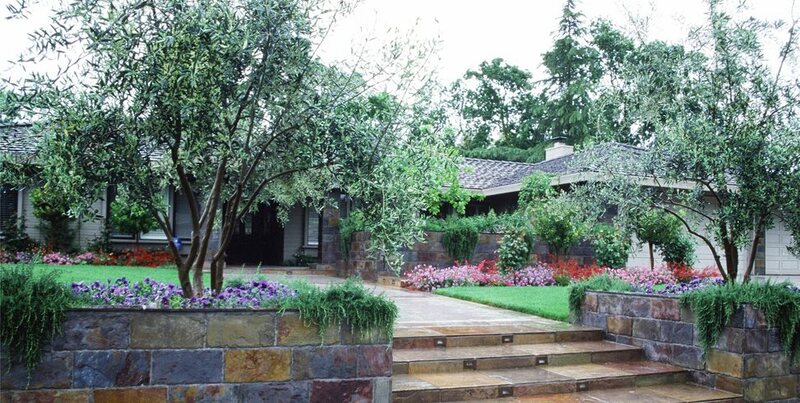 In terms of landscaping, a decade in cultivation is just the beginning of proving its worth. 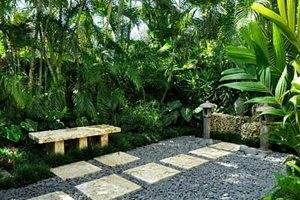 Landscape architects are very uncomfortable in specifying newer plants because they don't want surprises in the future that can come back to haunt them with a lawsuit. 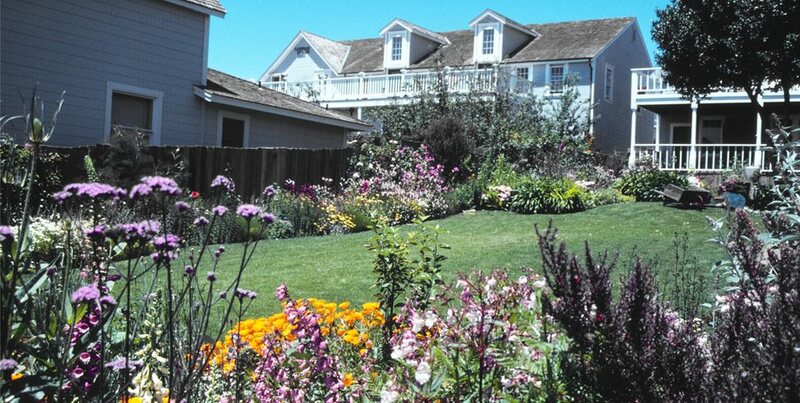 Solid, disease resistant, well-adapted trees, shrubs and vines are the backbone of your garden. Limiting your choices to well-tested, widely available plants is the best way to simplify your planting. Years ago a disease afflicted the Modesto ash, one of our most widely used street and shade trees on the West Coast. 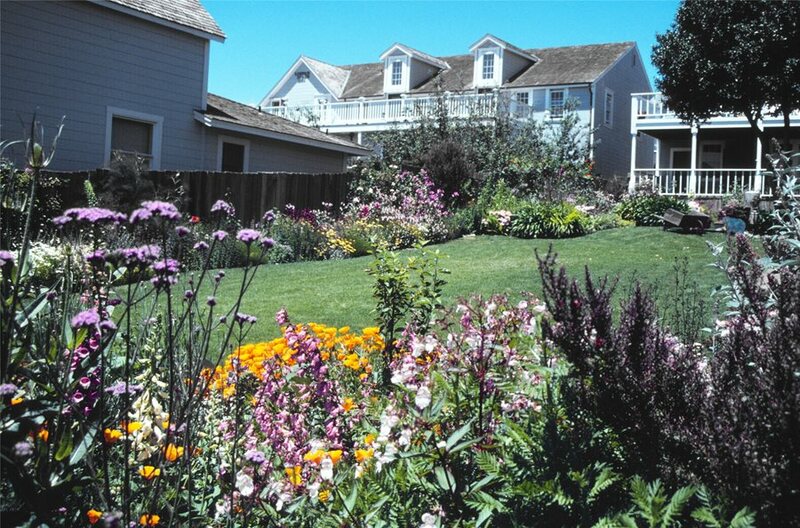 Landscape architects sought a similar disease resistant replacement. The Raywood ash became the favorite alternative. After thousands of them were planted on parkways and parking lots and backyards, the first trees reached mature proportions. That was when the limbs began to break off and fall, sometimes onto cars. Auto owners were suing the landscape architects, contractors and land owners for damages. The branching structure of this variety simply could not take high winds when well developed and fully leafed out. The USDA sent out notices but it was too late. This is a perfect example of why using newly introduced plants isn't always a good idea, and established designers tend to avoid them until sufficient time has passed to prove their sustainability. Chances are, if landscapers don't use a plant, there's a reason why. Maybe its roots are so sensitive it goes into shock every time one is planted. There could be a weakness that makes it more susceptible to disease such as mildew which can destroy the foliage overnight. The plant may be time consuming to propagate so it's higher priced than other plants in the same container size. Or it may just be something as simple as a destructive insect pest that attacks that plant with a vengeance. Stick with well tested varieties you and your contractor can depend on. Avoid plants not widely available because they are impossible to replace. Don't push the climate envelope and force plants where it's too hot or too cold. Beware of special packaging due to patents that often sell at higher prices. Avoid special needs plants unless you're willing to give them extra attention.